YOU COULD WIN A SHARE OF $90,000! Every 20 minutes, one lucky B Connected member could WIN $500 CASH! Each Friday at 11:00pm, one lucky guest will WIN $2,500 CASH GUARANTEED! 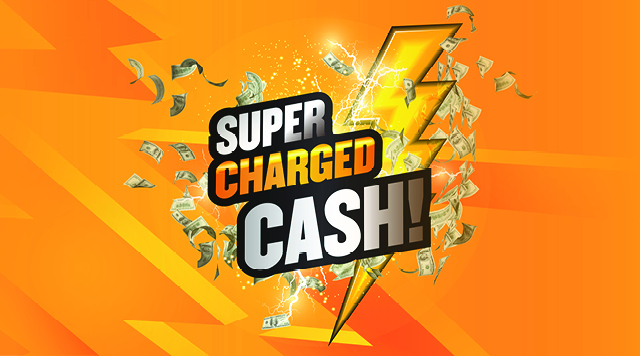 Each Saturday at Midnight, one lucky guest will WIN $10,000 CASH GUARANTEED! Swipe your B Connected card at any promotions kiosk April 1 - 27 for a FREE ENTRY. Then make sure your card is active in your favorite slot machine one hour prior to each drawing for a CHANCE TO WIN! Earn one BONUS ENTRY for every 10 Tier Credits you earn throughout the month. Emerald members earn 5X entries; Onyx members earn 10X entries; and Titanium members earn 15X entries.